Quality white ceramic 11oz. coffee mug. 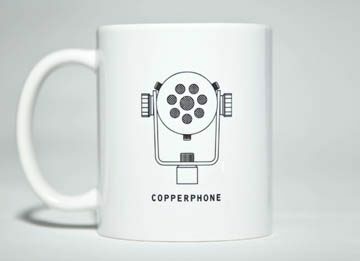 Features a high resolution black graphic of the Copperphone on one side, and the Placid Audio logo on the other. Quality white ceramic 11oz. coffee mug. 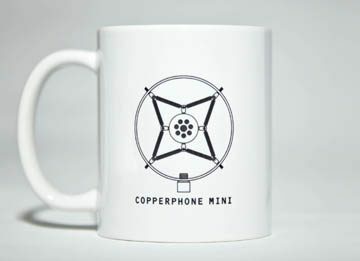 Features a high resolution black graphic of the Copperphone Mini on one side, and the Placid Audio logo on the other. Quality white ceramic 11oz. coffee mug. Features a high resolution black graphic of the Carbonphone on one side, and the Placid Audio logo on the other. Quality white ceramic 11oz. coffee mug. Features a high resolution black graphic of the Resonator A on one side, and the Placid Audio logo on the other. 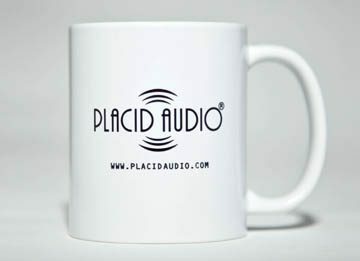 Quality white ceramic 11oz. coffee mug. 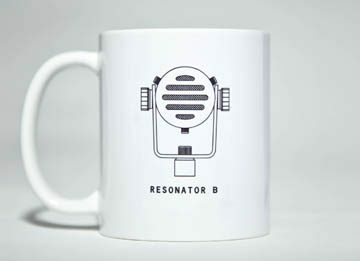 Features a high resolution black graphic of the Resonator B on one side, and the Placid Audio logo on the other.